Welcome! Tuloy po kayo sa aming “Nayong Pilipino”! 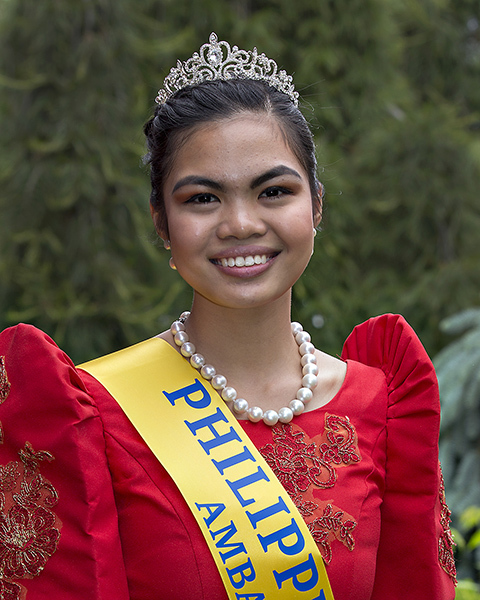 The Philippine Village is mainly hosted by the Filipino-Canadian Association of Brantford Inc.(FCAB), an organization formed in 1982 which, among other objectives, seeks to nurture and foster our rich Philippine heritage. We hope you will visit and allow us to welcome you with our warm smiles and hospitality. We will entertain you with our delightful dances which showcase our culture, representing a distinctive blend of indigenous cultures and foreign influences such as Hispanic, American, Malayo- Polynesian, Chinese and Japanese. We will offer you our tasty dishes which reflect our colourful history and diverse cultures spread across our more than 7,000 islands. You will enjoy our traditional pancit (rice noodle dish), our famous spring rolls as well as our tropical drinks and our uniquely refreshing San Miguel beer. You will enjoy our irresistible display of Philippine crafts and may even fancy a special little souvenir for yourself. See you at the Philippine Village! MABUHAY! Wednesday & Thursday: 5:00 p.m. to 10:30 p.m.
Friday: 5:00 p.m. to 11:00 p.m.
Saturday: 5:00 p.m. to 1:00 a.m.
Wednesday to Thursday: 5:45 P.M., 6:45 p.m., 8:00 p.m., 9:00 p.m.
Friday: 5:45 P.M., 6:45 p.m., 8:00 p.m., 9:00 p.m. Taste of Philippine dishes and Delicacies, tropical drinks, ice cream and popular San Miguel Beer. Video presentation of Philippine scenic and tourist spots. Crafts display and souvenirs for sale.